Here is Ozymandias'—Steve Jobs alter ego—computer: A Macintosh SE/30. 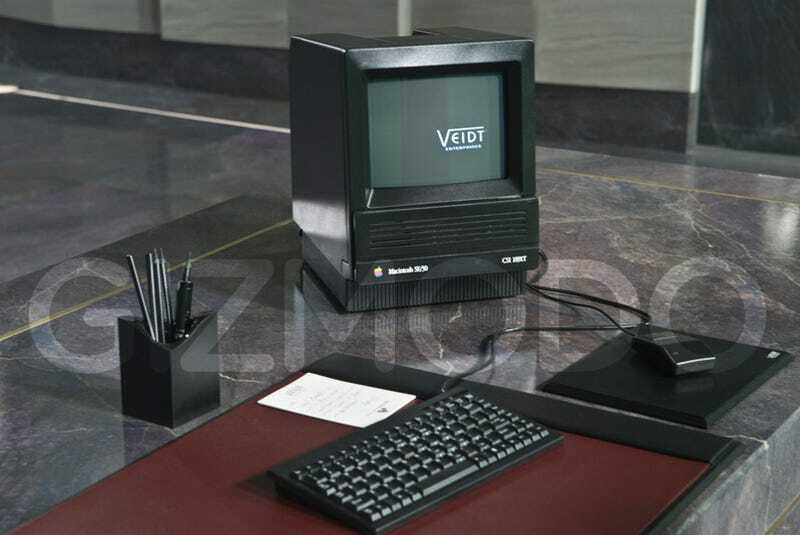 All in black, because in Nixon's 1985, Macs are black. It is one of the many Apple references Watchmen. Watchmen Review: Is Ozymandias Steve Jobs? In the movie, the computer runs the classic Macintosh System in inverted video mode, white over black. Don't forget to check io9's Watchmen review and coverage, as well as our Steve Jobs conspiracy theory and multiple babblings on the movie.